This winter, treat yourself with a trip to the enchanting city of Bordeaux, a UNESCO World Heritage site and the Lonely Planet’s world’s best city to visit. As we could not agree more, we are pleased to offer a discount of over 30% from our standard prices to give you the opportunity to visit this marvellous destination for yourself. This itinerary is available Monday to Wednesday, Wednesday to Friday or Friday to Sunday throughout December, January and February, and includes two nights’ bed and breakfast accommodation at the 4* Hotel Bayonne Etche Ona, perfectly located in the UNESCO listed ‘Golden Triangle’ of Bordeaux, a wine workshop followed by a light lunch and a guided and transported tour of the Saint-Emilion appellation as well as a wine tasting dinner in the city. See full itinerary below. The package is not available between Christmas and New Year. Upon arrival in Bordeaux, check into your preferred room grade at the 4* hotel Bayonne Etche Ona, perfectly located in the city centre. 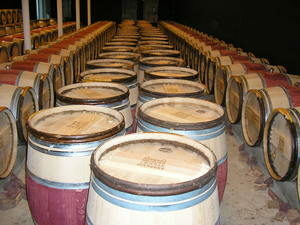 After breakfast, take a short walk to spend the morning participating in a fascinating French wine workshop. 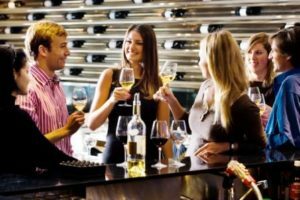 As part of a small group, your English-speaking wine expert will lead you on a “Tour de France,” tasting four wines from different French regions and learning about the notion of You will also learn about the French appellation system. Your guide will then teach you about the famous Bordeaux blends, tasting wines that are made from 100% Cabernet Sauvignon and 100% Merlot. You will then have the opportunity to create your own blend, tailored to your unique tastes and preferences. 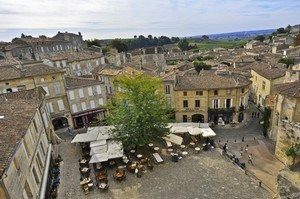 A light lunch of traditional French delicacies and fresh produce from the market will then be served before setting off in a mini-bus to the world famous St Emilion vineyards. 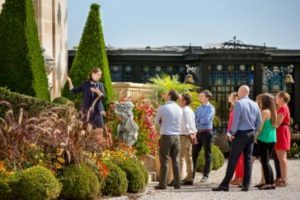 Here, you will visit a prestigious Grand Cru Classé Château, for a full tour of the estate and cellars and a tasting of the Château’s celebrated wines. Following a short guided tour of the UNESCO medieval village, you will then visit a family-run St Emilion Château, where the process of vinification will be explained in detail. A tasting session of the estate’s wines will then ensue before your guide takes you back to Bordeaux at the end of the day. The discounted price of this trip is £430 GBP per person in a Club room and £445 GBP per person in a Deluxe room and includes all the activities mentioned above. 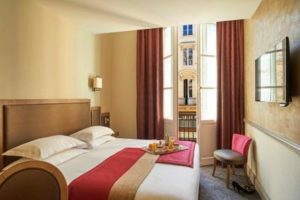 The Hôtel Bayonne Etche-Ona is a charming city centre hotel comprised of two traditional 18th Century buildings, located within 40 metres of each other. With an enviable location at the heart of the city centre, guests are able to explore Bordeaux with ease. Situated in the UNESCO listed ‘Golden Triangle’ of Bordeaux, the hotel can be found at the very centre of Bordeaux, with a wide range of shops bars and restaurants right on your doorstep. Saint-Jean train station is just 1.2 miles away, and there is a tram stop directly outside the hotel, making it easy to discover all that the city has to offer. Bordeaux airport is around 30 minutes’ from the hotel by taxi. 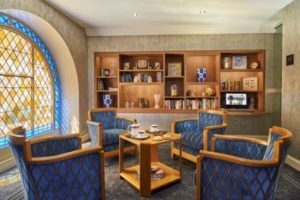 Within the Hôtel Bayonne Etche-Ona, guests will find an elegant bar and cocktail lounge, perfect for relaxing after a long day’s wine tasting. The continental buffet breakfast is served daily in the breakfast room, and there is complimentary WIFI available throughout the hotel. For those requiring conference facilities, these are available in a choice of three meeting rooms, and the 24 hour reception staff will be happy to assist you during your stay, offering additional facilities such as an iron and ironing board, fax and complimentary newspapers. All 61 tastefully furnished rooms are soundproofed, with a double or twin beds; air-conditioning comes as standard as well as satellite television, a safety deposit box, mini-bar and complimentary WIFI. Given the wide range of travel options to Bordeaux, the package price does not include travel. Please see our travel page for detailed information about how best to travel to the region. To secure your booking, a deposit of £100 per person is required. Your remaining balance will then be due 60 days before you travel. Please call us on +44(0) 1920 46 86 66 or e-mail info@grapeescapes.net to request a booking form.